How would you describe your dApp? Peter M. Dray: FITBLOX is at the intersection of user-monetized social media and secure fitness-tracking technology. 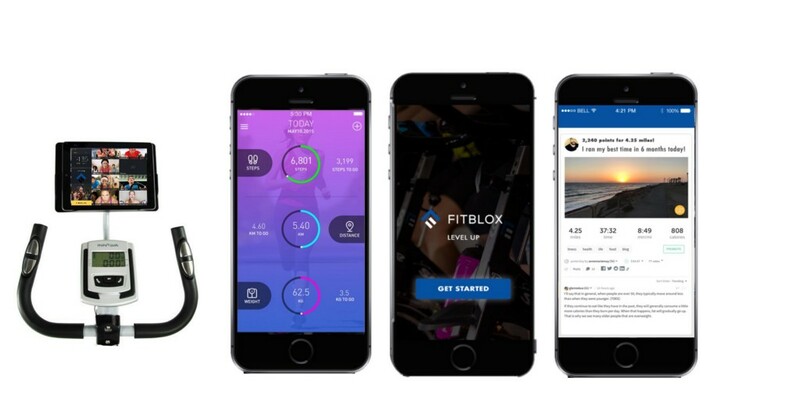 The FITBLOX dApp will enable users to control their own data and content by providing access to secure fitness-tracking technology merged with an immersive, incentive-based social media experience. Our dApp will leverage Delegated Proof of Stake (DPoS) as the basis for our stake-weighted voting system, which will enable content creators to be rewarded by the community for sharing useful content. FITBLOX will offer users access to a symbiotic marketplace for Health & Fitness products and content, creating a 360° user experience. Peter M. Dray: In 2017, when work began on FITBLOX, it was our belief that incentive-based rewards models that “pay” users for creating and curating content were the future. We identified two major problems with existing social media apps: security and censorship. Simultaneously, we identified a huge opportunity in the Health & Fitness sector. With 200 million users globally, fitness apps represented one of the fastest growing categories. The 2018 Under Armour Myfitnesspal breach that exposed the personal data of 150 million users gave credence to our hypothesis that bad actors wanted to exploit this data. The synergy of these concepts led us to develop FITBLOX, which lets users track their fitness goals, share their journey with others, and be rewarded for demonstrating and encouraging inspired healthy behavior. Peter M. Dray: I’m Peter M. Dray, our CEO. Brian Hazan is our Chief Operating Officer, Brandon Parker is our Blockchain Strategist, and Peter L. Dray is a co-founder of the company. We’re early-adopting crypto veterans with a shared passion for wellness, health, fitness, and competitive athletics. Our wider, cross-functional team is comprised of Health & Wellness industry veterans, seasoned marketing experts, developers, traders, investors, and blockchain enthusiasts spanning a number of different industries. We believe our experience in launching Health & Wellness brands, paired with our blockchain expertise and expansive network of professional athletes, fitness celebrities and corporate sponsors, distinguishes our team. What stage is the project at and what are your plans for scaling up? Peter M. Dray: We’ve completed our technical stack and architecture framework and we’ve built out the development architecture and development environment for our planned roadmap. We’re currently in the initial development stages of our dApp design and we’re in the process of scaling up dApp development resources and adding DPoS EOS blockchain developers. At present, we plan on launching the Alpha in Q1 2019, Beta in Q2 of 2019 and our GA release of the FITBLOX dApp in the second half of 2019. Why did you decide to use blockchain technology, and specifically EOSIO? Peter M. Dray: We actually delayed our dApp development to coincide with the EOS mainnet launch. With dApp design in mind, EOS is the only blockchain protocol able to handle the high level of transactions that a fitness/social dApp will demand at scale. Additionally, DPoS and stake-weighted voting functionality are critical components for us. The Ethereum network was, quite frankly, too slow at 12 tps and too costly with gas fees, making it a non-starter. EOS provided the infrastructure and platform to bring FITBLOX to fruition. How has the EOS Community responded to your project? Peter M. Dray: We’re humbled by the overwhelmingly positive feedback and support from the EOS community thus far. This high level of community engagement and support was one of the biggest contributing factors leading to our decision to launch our project on the EOSIO blockchain. Many of our team members have been actively engaged in EOS networking events, meetups, and developer groups over the past year. This has helped us to gain valuable insights and overcome challenges with the aid of developers and block producers that have literally reached out to us to lend their services. Stay tuned to our EOSIO Spotlight series where we’ll highlight some of the truly exceptional projects being built on our platform. If you have a project you’d like to share with us, please email spotlight@block.one. #BuiltonEOSIO: FITBLOX Puts Users in Control of Their Fitness — And Their Data was originally published in eosio on Medium, where people are continuing the conversation by highlighting and responding to this story.